You can now select a category you want to display events from when you create a menu item to link to Weekly Calendar menu option and only events from that category will be displayed. Latest version of ACYMailing version 6 removed a method from their public API and it causes issue with ACYMailing version 6 plugin in Events Booking. We fixed this compatible issue, so if you are using ACYMailing version 6 plugin to integrate with ACYMailing, please update to this latest version. RE: 1. Improve custom fields, We added a new parameter called Show On Registration Type. I can't see this parameter, Where exactly is it in the Configuration?? This update refers to 'Custom Fields' and NOT 'Event Custom Fields'...... my mistake!!! 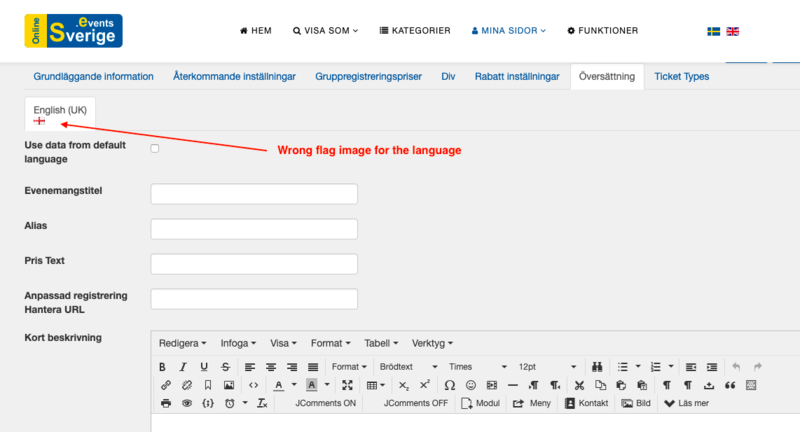 1- The flag image for the language is not correct. 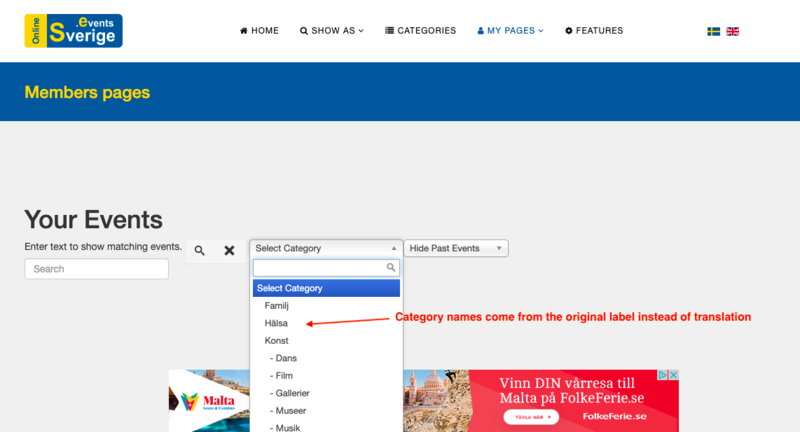 2- The category names in "List of my events" page are not translated to the proper value. Please see the attached images and you can try by yourself at www.sverige.events website.